The camera-centric Tecno Camon i4 is trying to fit in the latest trend of triple cameras with an affordable price tag. But will it succeed? Tecno Camon i4 price starts at Rs 9,499. 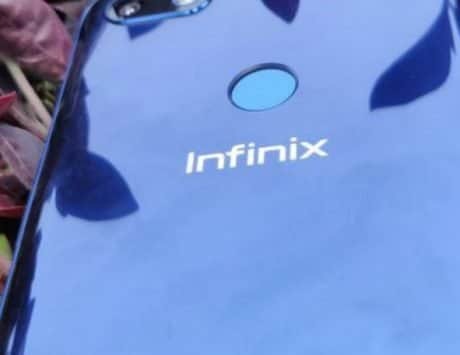 The smartphone comes with a 16-megapixel selfie snapper. The Camon i4 runs Android 9 Pie OS with HiOS skin on top. 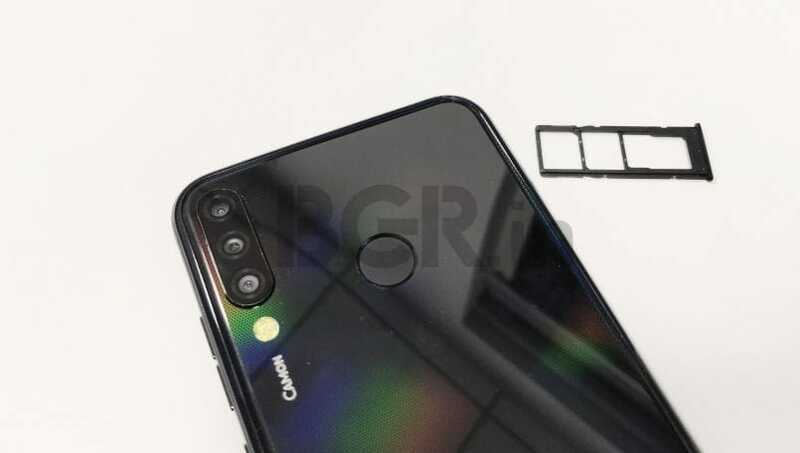 Tecno Mobile, a subsidiary of Hong Kong-based Transsion Holdings, has launched its cheapest triple-camera smartphone in the form of Tecno Camon i4. There will be three variants of the phone in total 2GB+32GB, 3GB+32GB and 4GB+64GB. The base 2GB RAM variant is priced at Rs 9,599, and the other two can be purchased at Rs 10,599 and Rs 11,999, respectively. The company has already started selling it over 35,000 touchpoints offline, and it should be available online via third-party retailers. Transsion Holdings, the group behind brands like Tecno, Infinix and itel in India, recently emerged as the fifth largest mobile handset player in the country. 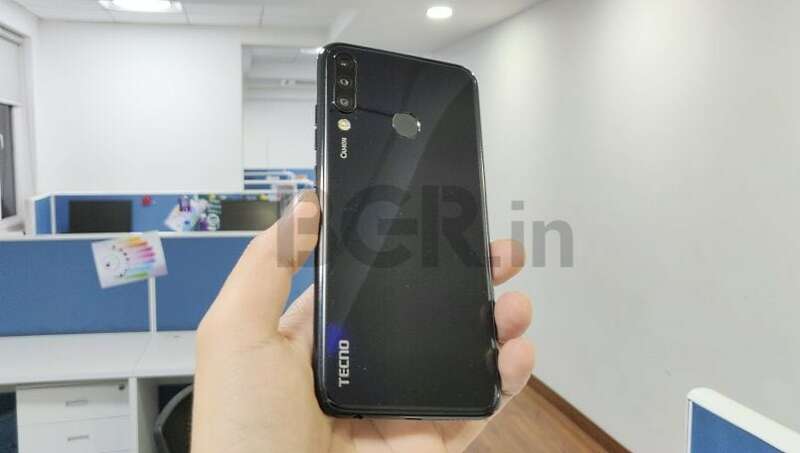 Time and again, the maker has spoken about its focus for the Indian market and the latest addition in Tecno Mobile’s portfolio is also a ‘Made in India’ product. I got my hands on the Tecno Camon i4 (2GB+32GB), and here are my first impressions. The Tecno Camon i4 sports modern day glass-like design with dot notch display. 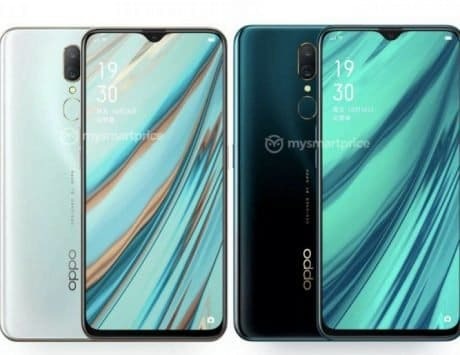 The front packs a 6.21-inch HD+ display with a waterdrop-shaped notch, similar to most Chinese smartphones launching these days. It offers a resolution of 720×1520 pixels at a pixel density of 269ppi (pixels per inch). 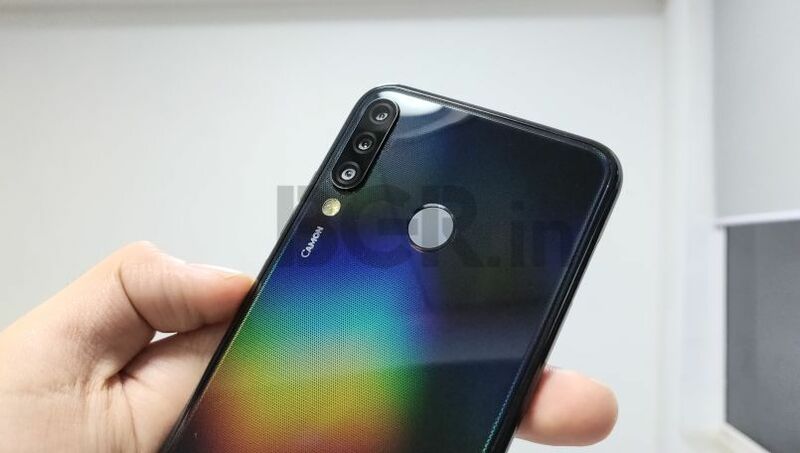 The back of Camon i4 is made of polycarbonate, however, it has been made to look like a glass similar to recently launched Redmi Note 7 Pro. There is AI Face Unlock on offer and you also get physical fingerprint sensor at the back, which company claims to be an anit-oil fingerprint scanner. Overall, the smartphone looks good, and is very lightweight at just 141 grams. Having said that, the glossy body attracts fingerprints and smudges very easily, but it isn’t slippery at all. Tecno has provided a designer silicon back cover with the phone, so you can use it with the device right out of the box. In my opinion, the back cover gives it a distinct look, and I quite liked it. In terms of color options, Tecno will be selling it in four colors of Midnight Black, Champagne Gold, Nebula Black, and Aqua Blue. Internally, the Tecno Camon i4 is powered by a MediaTek Helio A22 SoC with a quad-core CPU and clock speed of 2.0GHz. It is an entry-level chipset which also powers the Redmi 6A. Our unit packed 2GB of RAM and 32GB of internal storage, but there are other variants as well. Interestingly, the 3GB RAM and 4GB RAM variant packs a different Helio P22 processor, which you’ll find in Redmi 6. During my time with the device, the handset performance felt alright, but it’ll be interesting to see how it holds in the long-term. On the software front, it runs HiOS v4.6.0 based on latest Android 9 Pie OS. There is an option of microSD card expandability (up to 256GB), and you get tri-slots, which means it can easily take two 4G SIM cards (nano) along with a microSD card. The entire package is backed by a 3,500mAh battery with ‘Rocket Charging’, which is claimed to provide two hours worth calling from just 10-minute charge. We are yet to see how fast is the charging in this device. Coming to the big highlight of Tecno Camon i4, it brings triple-camera setup at an affordable price, which is likely to be the cheapest for the country till date. 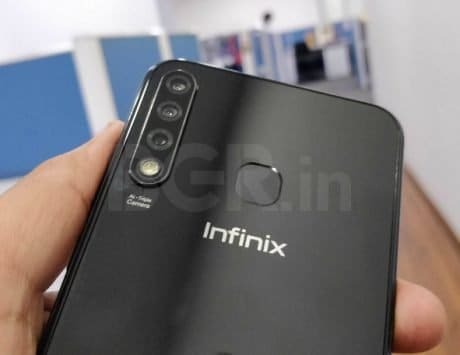 The setup includes a 13-megapixel primary f/1.8 camera along with two other lenses of an 8-megapixel and a 2-megapixel depth sensor. As far as the cameras front camera is concerned, the handset sports a 16-megapixel camera for selfies. In my brief time with the device, I liked both the camera quality, although we will only be able to test it further during our detailed review. Priced at Rs 9,599, the Tecno Camon i4 initially impresses with its looks and lightweight feel. The triple-camera setup in this price range adds to the USP of this device. 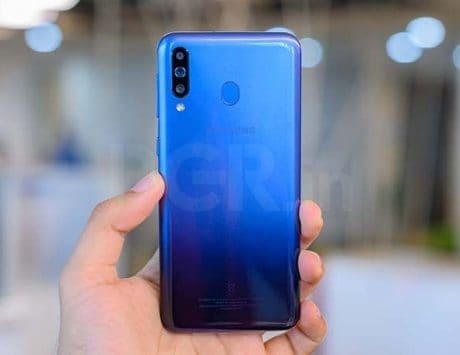 Having said that, we tried the 2GB RAM and 32GB internal storage variant, but consumers have an option to purchase the Helio P22-powered variant with more RAM and storage, which will likely offer better performance. In my limited time, the device performed fairly average and I found the UI to be a little annoying. But overall, there are some good points about this phone, although it’ll be too early for us to pass judgment. We will soon be reviewing the Camon i4, so stay tuned for that.